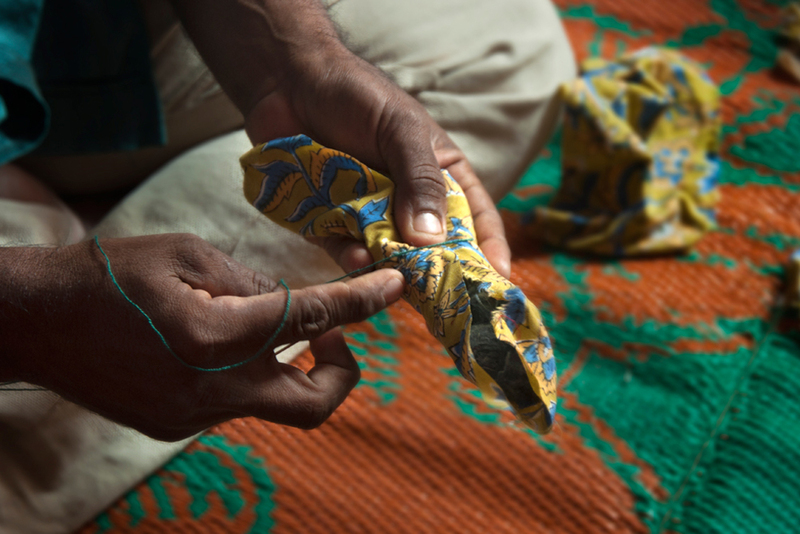 Stuffed fabric is stitched in the form of hands for the puppet. 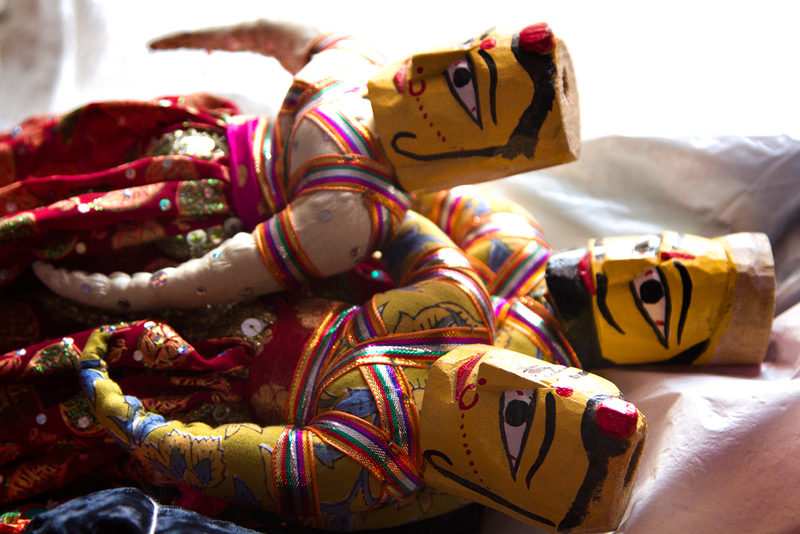 Theme and style of the puppets are basically originated from Rajasthan. 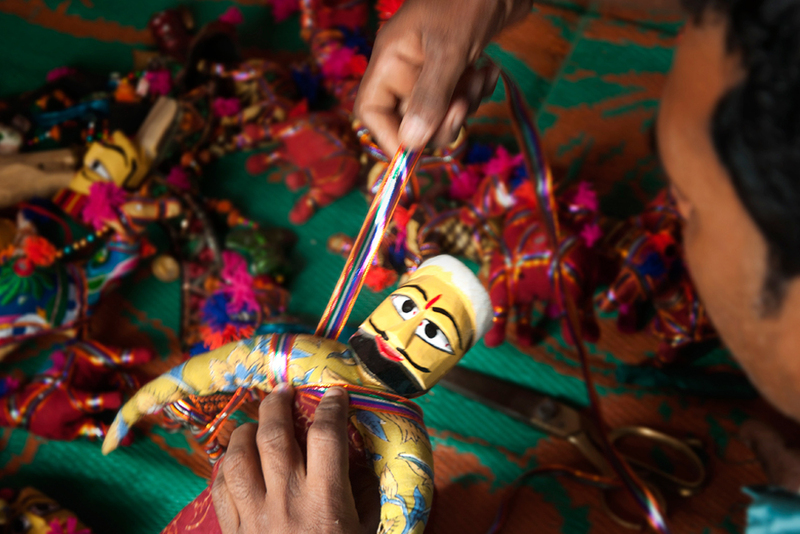 Head of the puppet is made of wood and other parts of the body are stuffed. 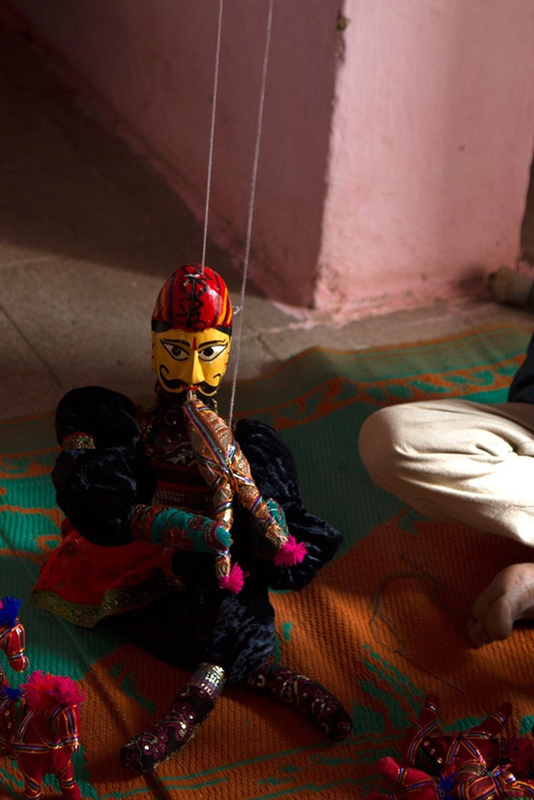 A snake charmer puppet controlled with the strings playing the instrument. 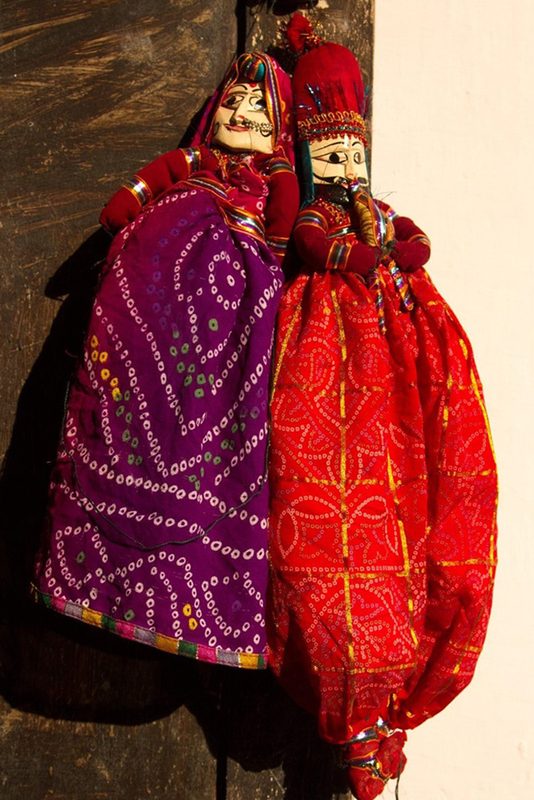 Puppets costumed with traditional theme fabric. 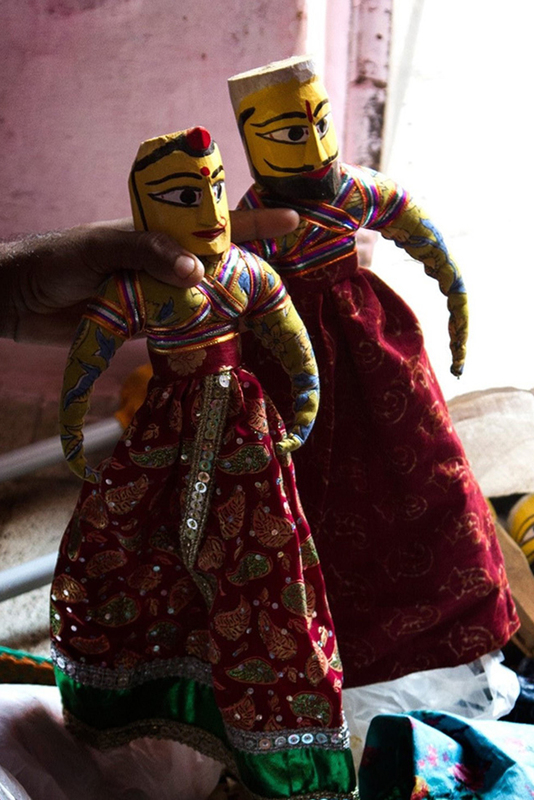 A female puppet and a snake charmer puppet dressed in the traditional costume. 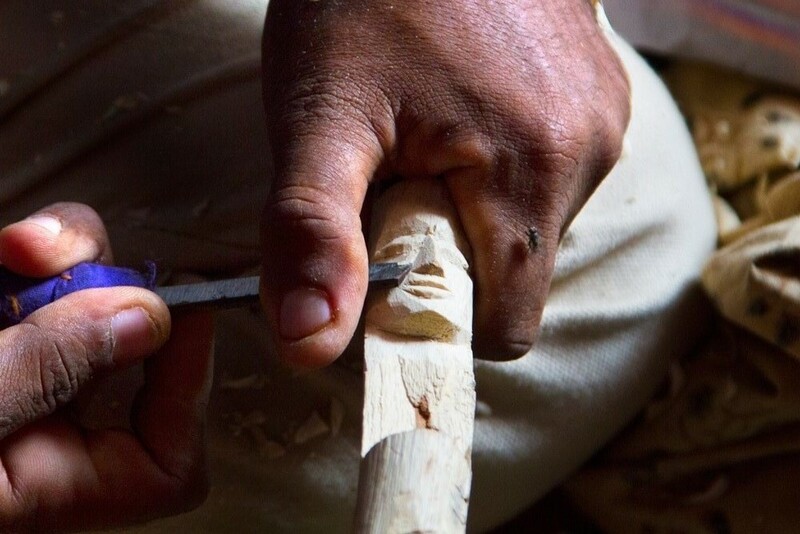 Puppets are usually single handled with either string operated or wire controlled. It is a platform which transmits cultural values and ideas. 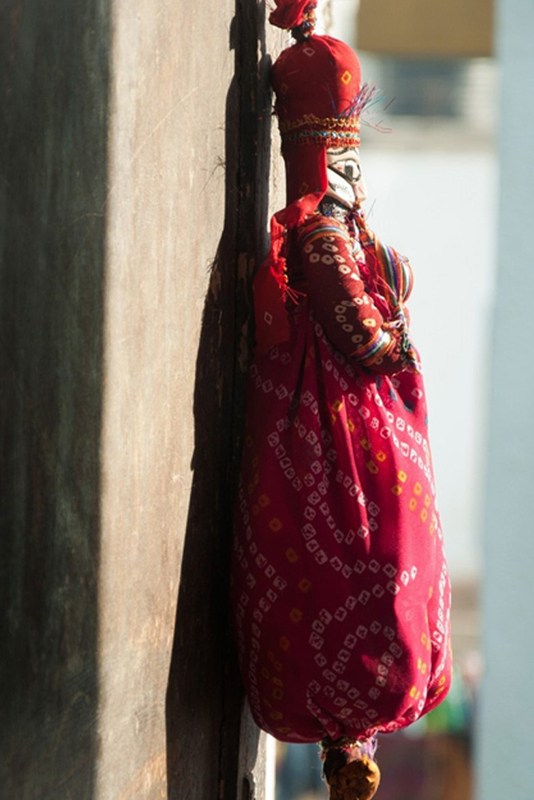 It is also part of ceremonial context with a wide range of folk forms that include dance, storytelling and the masked performances. 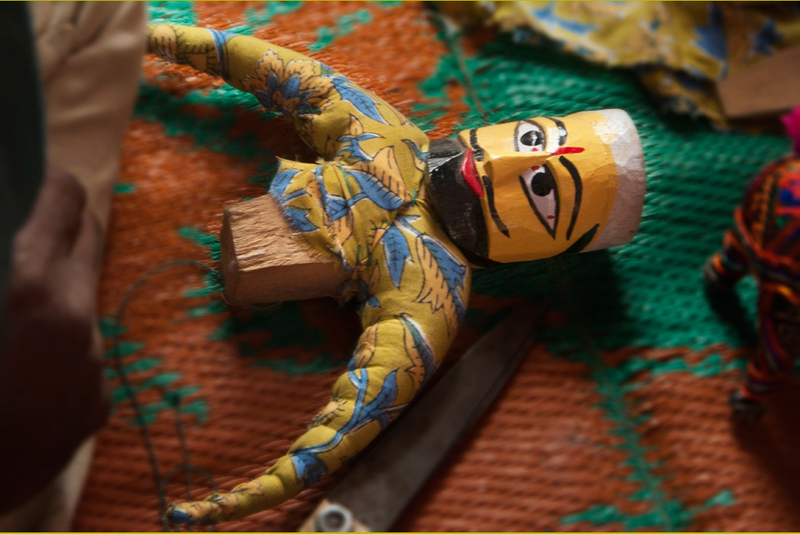 Artisan of the puppet making lives in Chandlodia of Ahmedabad district, in the Gujarat state of India. 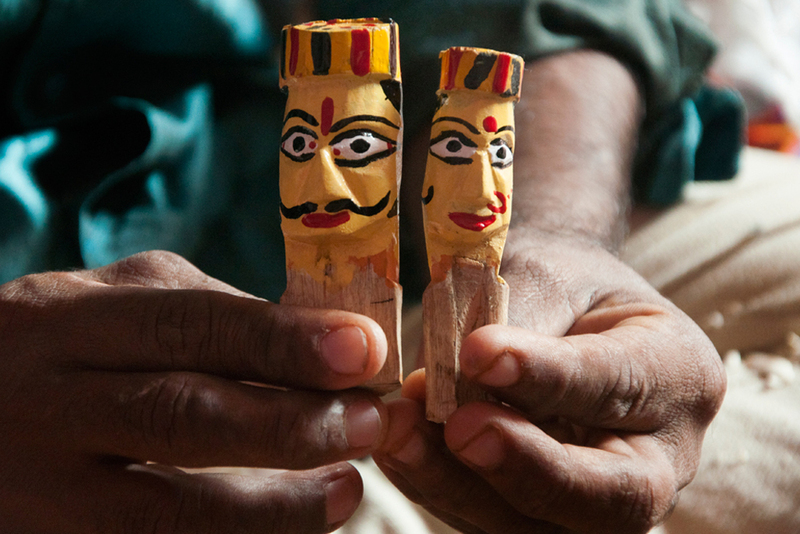 He also makes various types of art work like toran making, fabric toys etc. 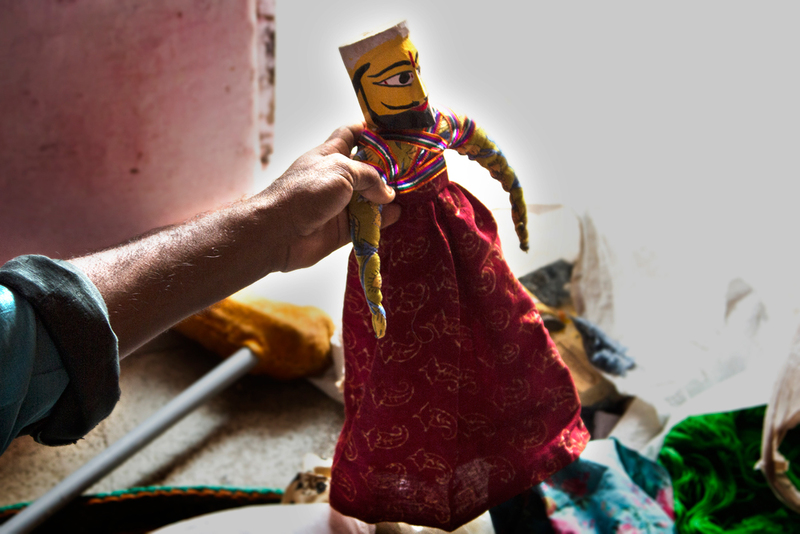 With the epics from Mahabharata and the regular social issues are some of the topics taken to be highlighted in the puppet shows. They were mostly decorated with the contrasting colours to be highlighted in the dark when played with a black or lighter colour background. Music or sounds are used for supporting the play, in some cases music of cymbals, a double reed wind instrument, cylindrical drum etc. are generally preferred as part of a story telling. 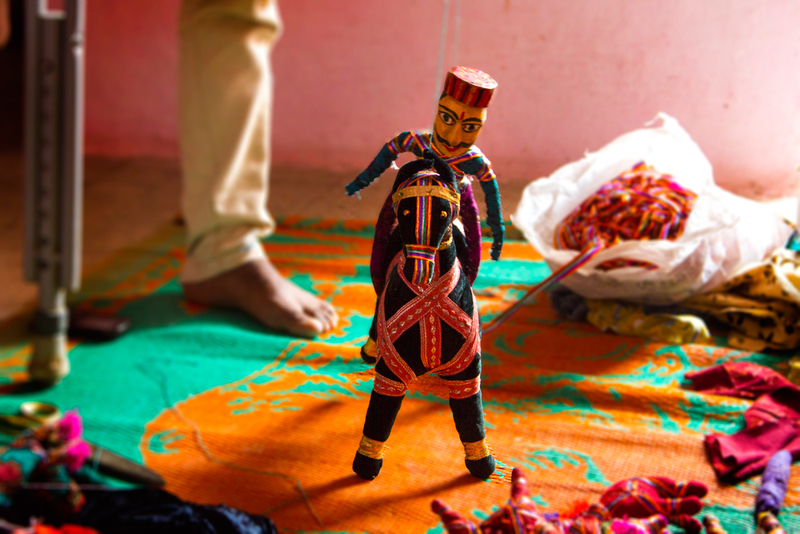 It transmits cultural values and ideas through the puppetry functions undertaken as the formal education which generally happens through books, broadcasting networks etc.